Image: Cindy Ord/Getty Images for NYCWFF. 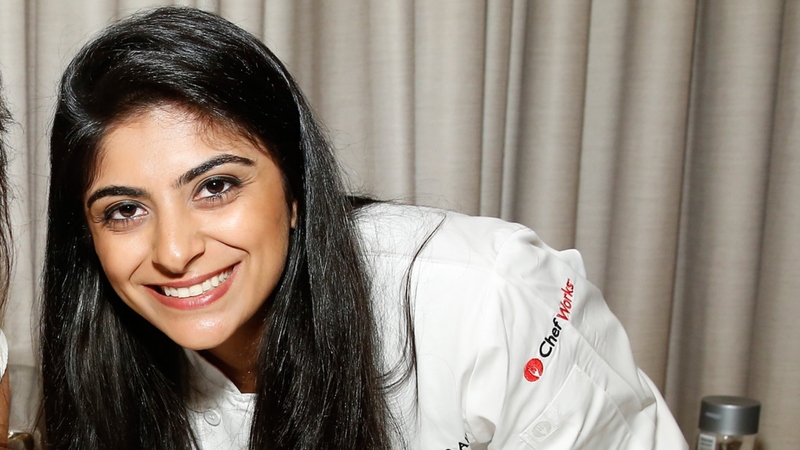 Fatima Ali, a rising star in the culinary world and fan favorite on season 15 of Top Chef, died Friday following nearly a year of treatment for a rare form of bone cancer. She was 29. During a recent appearance on The Ellen DeGeneres Show, Ali discussed the moment in 2017 when she learned she had Ewing’s sarcoma, which is typically seen in children. At the time, persistent pain in her shoulder pushed her to make a doctor’s appointment. It was then Ali received the devastating news that her cancer had metastasized. She was told she had a year to live. The following month, in a poignant essay she penned for Bon Appetit, Ali explained how her newly terminal diagnosis had shifted her perspective. “It’s funny, isn’t it? When we think we have all the time in the world to live, we forget to indulge in the experiences of living. When that choice is yanked away from us, that’s when we scramble to feel. I am desperate to overload my senses in the coming months, making reservations at the world’s best restaurants, reaching out to past lovers and friends, and smothering my family, giving them the time that I so selfishly guarded before,” Ali wrote. Top Chef host and judge Padma Lakshmi, with whom Ali had a very close relationship, posted a touching tribute on Instagram set to the song “So Far Away” by Carole King. Late Friday evening, Ali’s family shared a photo collage on her account, along with a heartbreaking statement to her fans. Prior to her death, Ali’s friends and family established a GoFundMe campaign to help her achieve her dream of traveling the world and sampling its finest food. The remainder of the more than $97,000 that was raised will now be given to the Sarcoma Foundation of America.